The astonishing archipelago of Islands, are sure to trip one in a belief that they’ve stumbled upon a land away from this very galaxy. The amazing habitat of the wild galapagos islands animals that make the islands are a perfect treat to the traveler who is a wild-life enthusiast as well as the natural scenic breath-taking views, certainly make the Galapagos Islands travel a perfect vacation getaway from the monotony of the usual life. These cluster of islands situated in the Ecuador to the eastern side of the Pacific seas together consist of thirteen key islands that are enriched with the wholesome and unperturbed bounty of nature, along with six other smaller islands. A site listed in the prestigious UNESCO World Heritage Site, this itself does speak for itself about the scenic splendors of this great escape from the mundane nature of usual life. These islands formed out of the volcanic eruption, today boast of a spectacular national park as well as a biological marine reserve. No wonder, the wild life on these Great Galapagos Islands is so hugely celebrated. With the main language spoken widely is Spanish, the islands together claim a small figure of population as scarce as twenty-three thousand. And how can the mention of Charles Darwin and his famous study – The Voyage of the Beagle, be left behind!? The subject matter of his study being these very Galapagos Islands and the large variety of endemic species spotted here paved way for his theory on evolution. 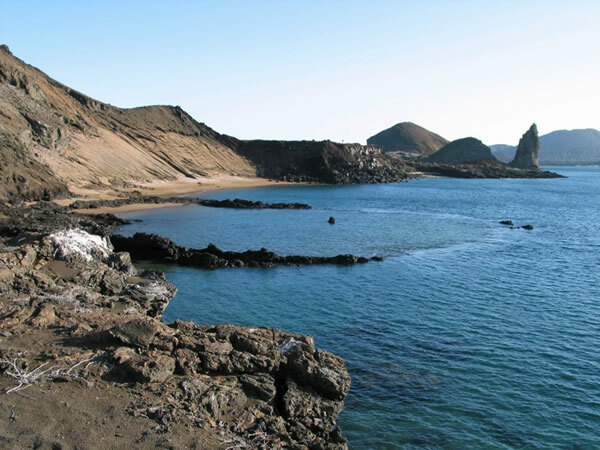 Also, popularly referred to as the South Seymor, the Island of Baltra is a comparatively lesser big island situated right in the middle of the Galapagos Islands. Being a desert like island, it is dry and the flora growing here is more of wild trees and plants including the palo santo trees, prickly pear cacti and other cacti varieties along with a dense concentration of salt bushes. The Baltra Islands served as a great pad for access into the Galapagos Islands travel until the year of 1986, as the only airport on these islands could be found on the Baltra Islands. However, now the connectivity is also served by the airport present on the San Cristobal Islands. Just as the visitors land on the Galapagos island, they are conveyed by a bus service to the nearest dock areas. The ferry carries the passengers to the Santa Cruz Islands, thus the adventure rolls to begin. Recently, in the year of 2008, the airport on the Island of Baltra was revamped to equip the place with leadng eatery joints and markets to increase the recreational amenities that could be offered to the travelers. The Island of Bartolome also popularly called as the Bartholomew is located on the eastern side of the Santiago Island’s coastline. Formed by volcanic eruption, the islands are rather newer out of the other counterparts of the cluster. The Santiago Island along with the Sulivan Bay, inclusing this Island of Bartolome derive its peculiar name after Charles Darwin’s fast friend named Sir Bartholomew James Sulivan, hence, the names of these places came to be so. This island is particularly famous for the wild penguins that can be find nowhere else but on the Bartolome Islands, also referred as the Galapagos Penguin to be found on the equator. Another famed creature that can spotted here is green turtle. Undoubtedly, and as the very name suggests go, this island has been named after Charles Darwin who conducted his research on evolution at these Galapagos Islands, mainly on the kind of species of flora and fauna found here, the endemic species. The island is also called as the Culpepper. With the expanse spreading over an area of 1.1 square kilometer and an altitude of 551 feet, the main attraction of galapagos islands animals include whales, marine turtles, sea-lions, red-footed boobies, marine iguanas, seals and frigates. In, short the Island of Darwin offers a lot to explore. The name of the island which is Espanola was conferred as a mark of respect and honor for Spain. The island is alternatively known as the Island of Hood. Covering an expanse of sixty square kilometers and the altitude going up high to two hundred and six meters or six hundred seventy six feet, the island is exotic and unique in its own way. Being one of the most primitive islands in comparison with the counterpart, it can be said that these were formed nearly about three and a half million years ago and is the located on the southernmost tip of the cluster of islands. The interiors of the Hood Island boast a variety of fauna. This is also one of the most isolated islands than others and the wildlife here has accommodated to the environmental patterns. Featuring a rare breed of iguana that changes its color, they are found only on the Espanola Islands. Also, a wide species of beautiful birds flock over here. From them, the waved albatross makes for a great sight. The high hills of these islands are a perfect nesting spot for these birds flying from places like Peru and Ecuador. Activities like snorkeling are best performed over here. With two leading places of attraction located on these islands, the Gardner Bay makes for the perfect spot to enjoy snorkeling and swimming at the amazing sea with some of the coolest marine creatures. Apart from that, the Punta Suarez marks great wildlife attraction featuring species like blue-footed booby, red-footed booby, swallow-tailed gulls, marine iguanas and so much more. Also, known as the island of tower, the former name of the island has its roots from the place of Genoa in Italy, a place where it is believed that Columbus was born. Home to many a great species of birds like red-footed booby, noddy terns, lava gulls, tropic birds, doves, Darwin finches are all some of the rarely spotted birds. 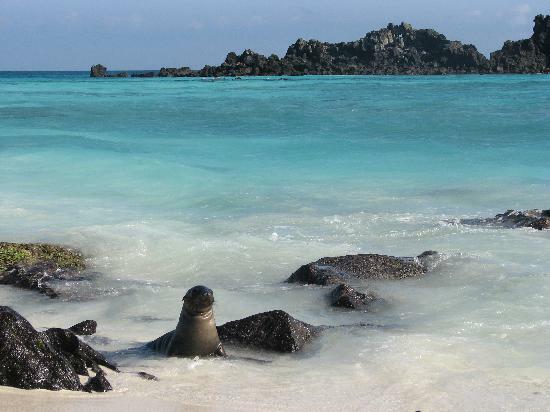 The articles helps you get the low down on the Galapagos islands. Can’t wait to set foot on the island of Darwin the wildlife there seems unlike any.